Although I sell Beer from almost every country in the World Scottish Ales have always been very popular here in Dundrum. 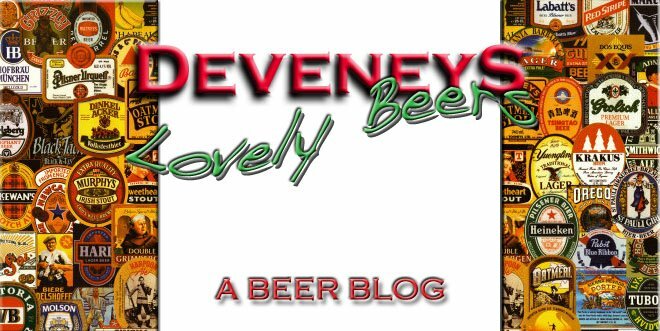 We've got a few new ones, Ale winners like they're pals Harviestouns, Innis & Gunn and Broughtons which are also available in Deveney's. The Cairngorm Brewery in Inverness are making some really special stuff. 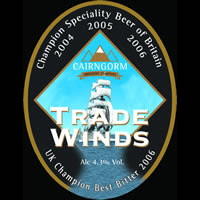 Trade Winds won Champion speciality beer of Britain '04, '05 &'06 and this is the most interesting of the trio. It's a light golden colour, a tropical fruit nose with hints of elderflower and the palate is really refreshing and crisp with loads of fruit and floral character on the finish. At a responsible 4.3%, this is an ideal Monday, Tuesday, Wednesday beer. Especially as they've won all those awards - almost as cultured as a night at the theatre! !